Recently, while I was capturing snaps of red flowers, I found out that my smartphone camera ain’t that smart enough any more to focus nicely on the color. The snaps were something I didn’t like much but instead of deleting one such snap, I decided to play with it. Snap seems nice now but I’m also worried about my smartphone, which is a 😦 + 🙂 situation. nice job! your phone takes much better photos than mine does! Tweaking a bit is normal 🙂 Cameras (phone or otherwise) aren’t human and won’t necessarily give what you see with your eyes. I love your resulting image. 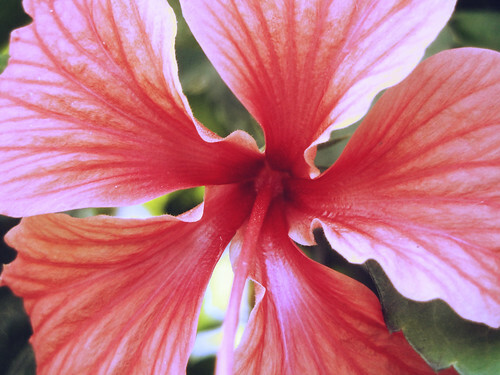 Nice hibiscus! But why are you worried about your phone? Or is that the main tool for your blogging?